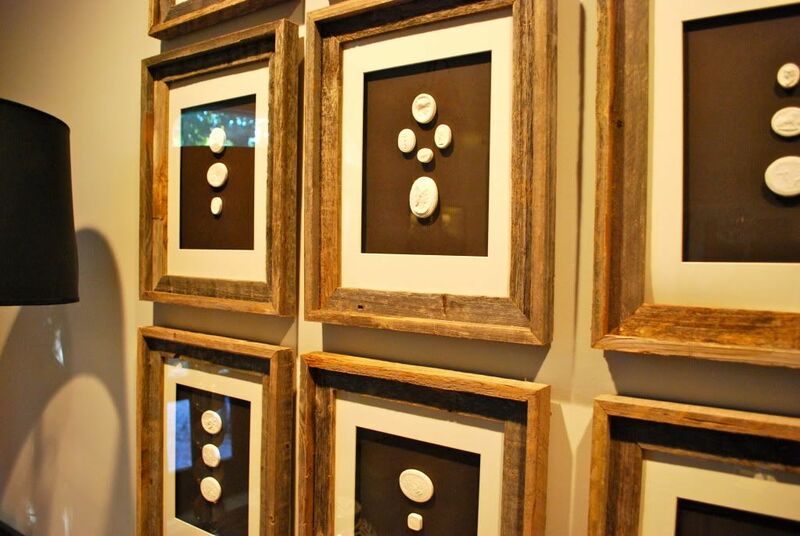 As mentioned yesterday, I created a grouping of framed intaglios for my entry way. Each one cost me around $33.00 which is a fraction of the $395.00 retail price. I promised to give you all the details, so here goes it! 1. 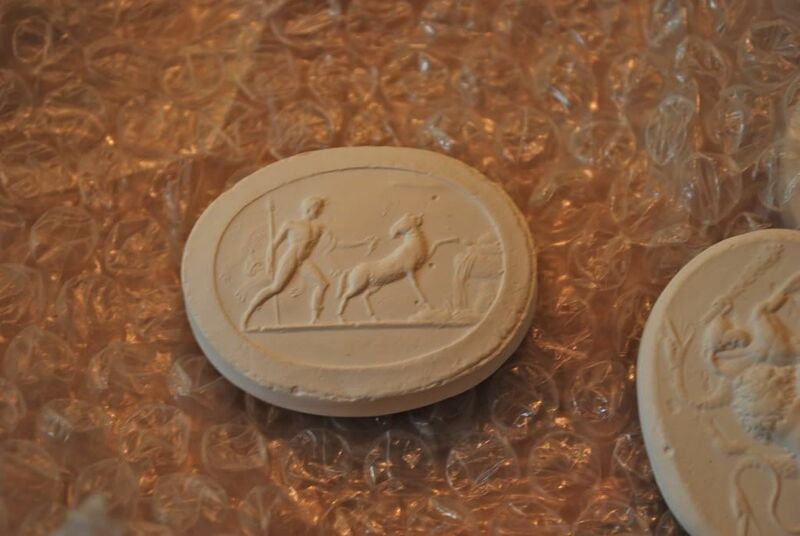 Intaglios - I found these on Ebay by searching for "plaster cameos." The lot I purchased included 32 total. 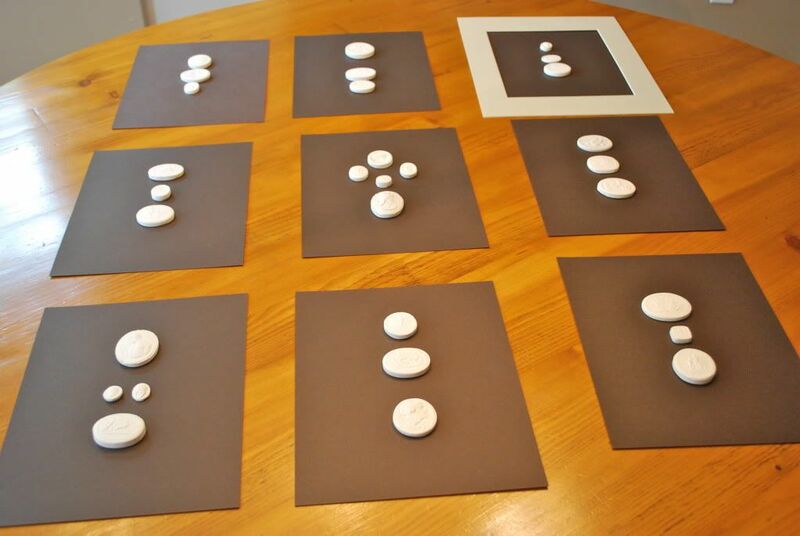 The more the merrier when you are creating a grouping. Here's a current lot for you to consider Plaster Cameos (btw, the price has gone up since I got mine, but it's still more affordable than the retail version). 2. Frames - I used the 14x17 stock driftwood frames from Hobby Lobby. I bought them during one of their weekly %50 off frame sales (check their flyer on line to see the next scheduled sale). They didn't have enough so I requested a "raincheck," and they ordered the number I needed at the %50 off price. 3. 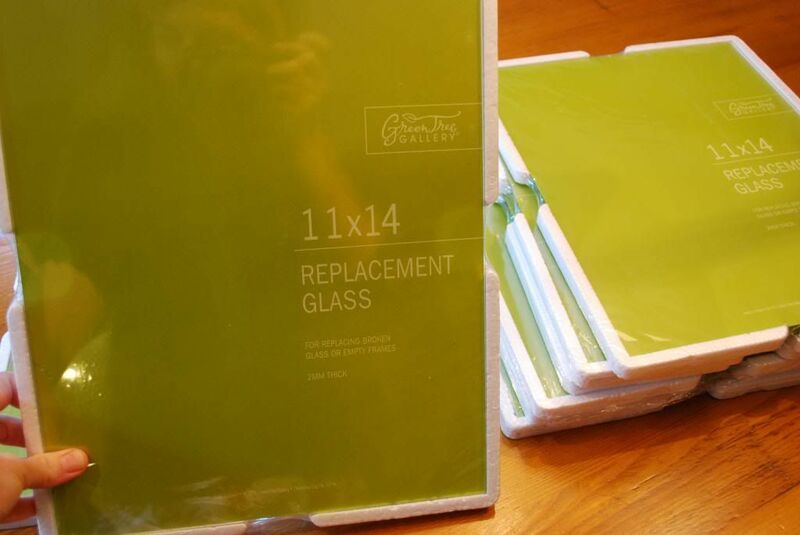 Mats - I was not able to find enough of the same color at Hobby Lobby, so I had to order these online at pictureframes.com. The shipping was more than the mats themselves. If you can find a local retailer for these, you will save even more money. 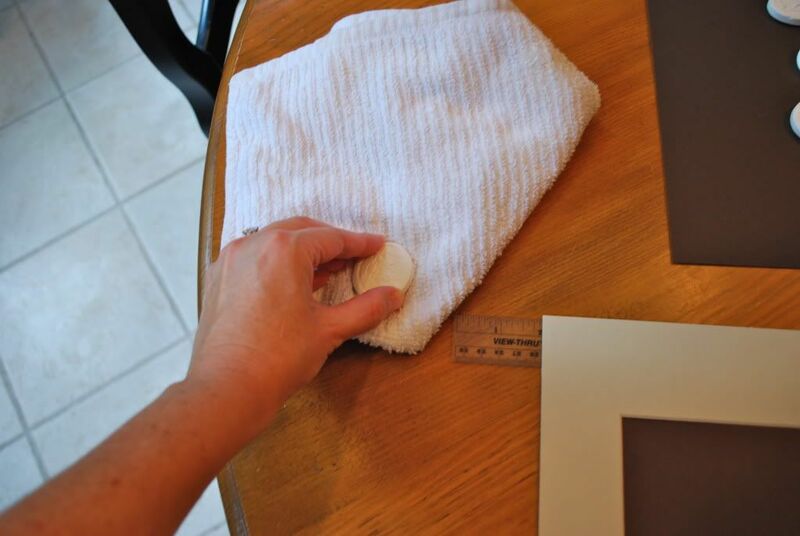 I selected the "ivory linen" color in an 8x10 image size for an 11x14 frame inset size. 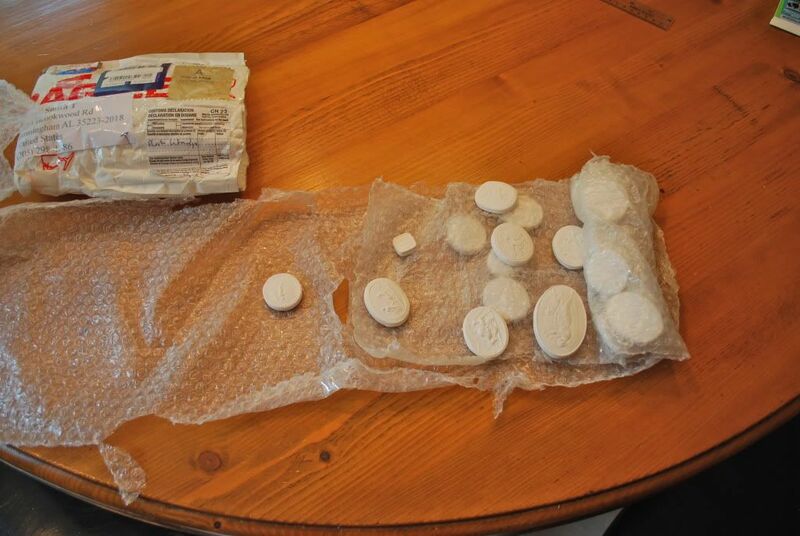 Also, they smudge very easily, so I tried to keep my hands clean and dry when handling these. 4. Replacement Glass - found at Hobby Lobby. 5. 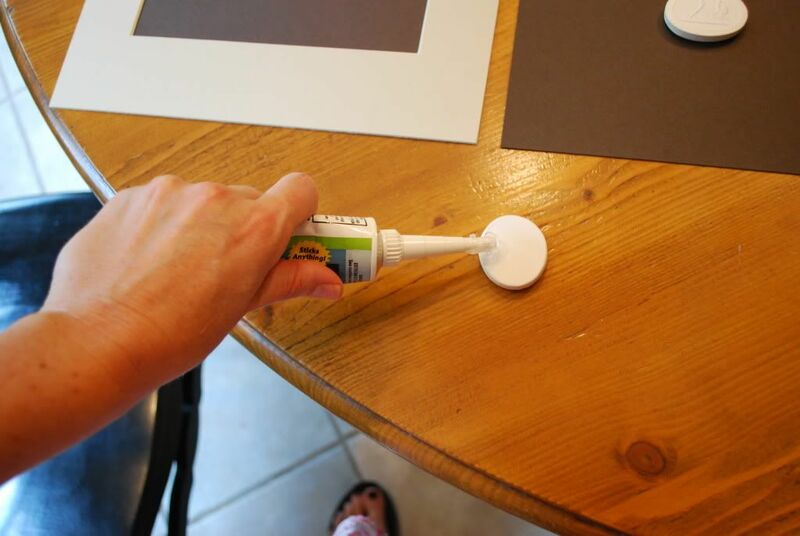 Glue - I used a glue that was specifically made for gluing paper, ceramics and cement - found it at Hobby Lobby. Also, this is not a fast drying glue which allows you to adjust the intaglio a bit on the card stock. It does dry clear. 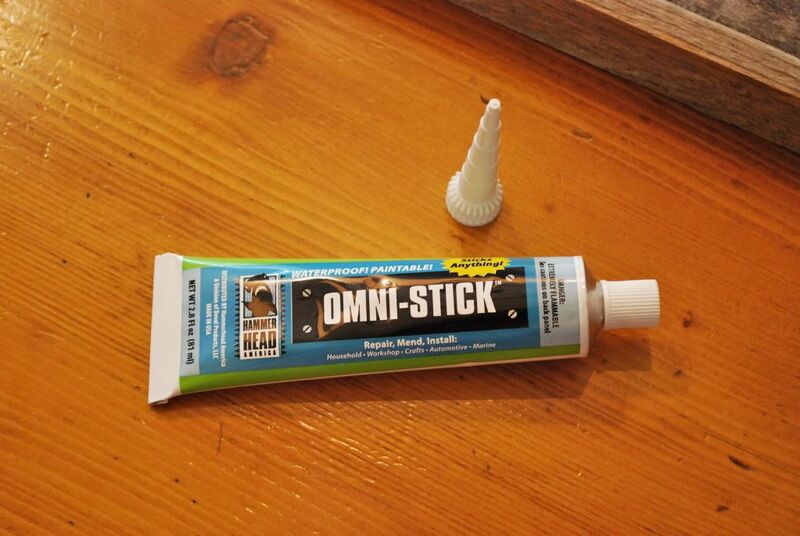 If you use a different glue, be sure to test it before using on the entire project! 6. 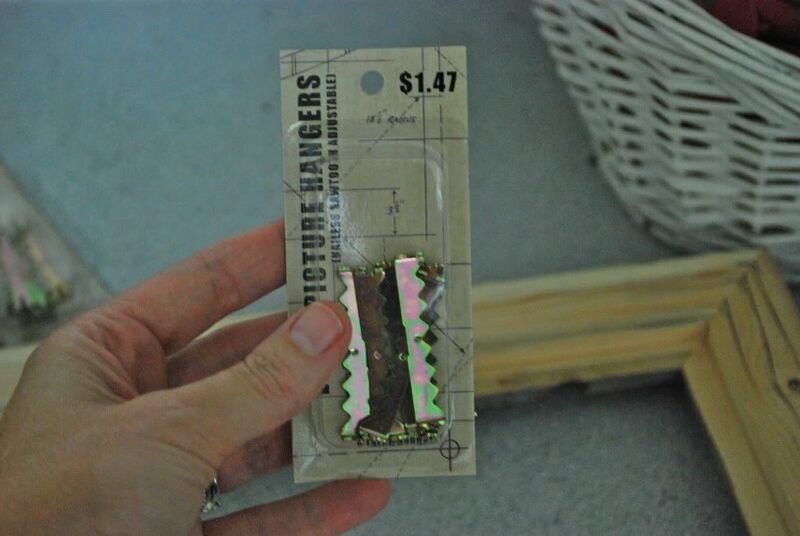 Picture Hangers (Hobby Lobby) - I have used these for years for styling jobs. They are tons easier to work with compared to the eye hooks and wire and since these are light weight frames, they are the perfect solution. 7. Off Sets - these are crucial to the project. They're not a retail item at Hobby Lobby, so you will have to ask the personnel in the frame department to pull you enough for your project. If you can't get your Hobby Lobby to sell them to you, here's an online source for the off sets. Not sure, but I think mine were the 1/4" version. Without the off sets, you will not be able to secure the back - which ends up being thicker than the frame in the finished product. 8. Chocolate Card stock (letter size) - any stationary shop can sell you this. Locally, I ran into Smith's Variety and picked up mine. The picture is deceiving b/c the color is really much darker, almost black in person. I think a dark gray would look great too. 9. 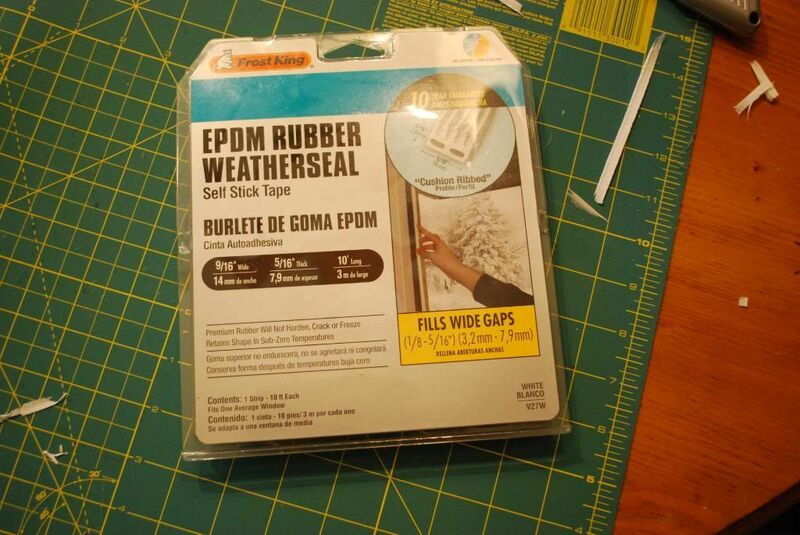 Window Insulation Rubber - I know it sounds crazy, but after lots of trial and error, this is the least expensive way to give you the depth needed between the matt and the intaglios while maintaining a clean consistent edge. I picked it up at Home Depot. 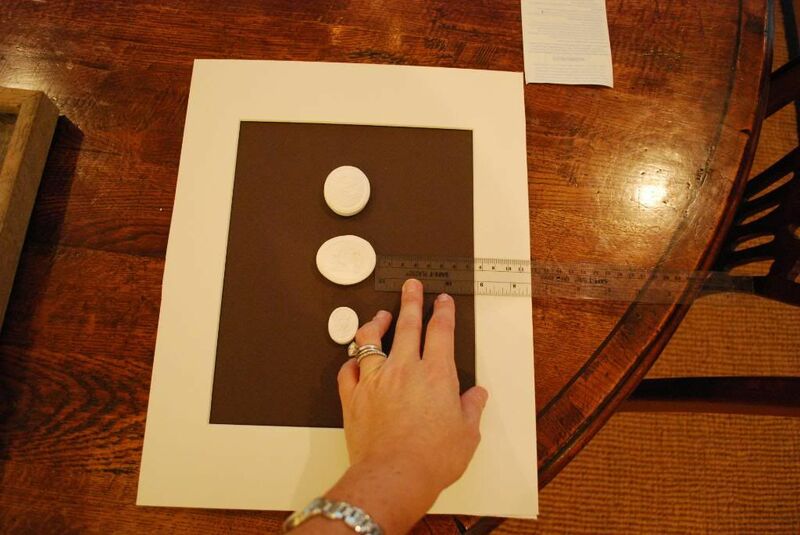 Get the 5/16" thickness in white to ensure the intaglios have enough space in the frame. 10. 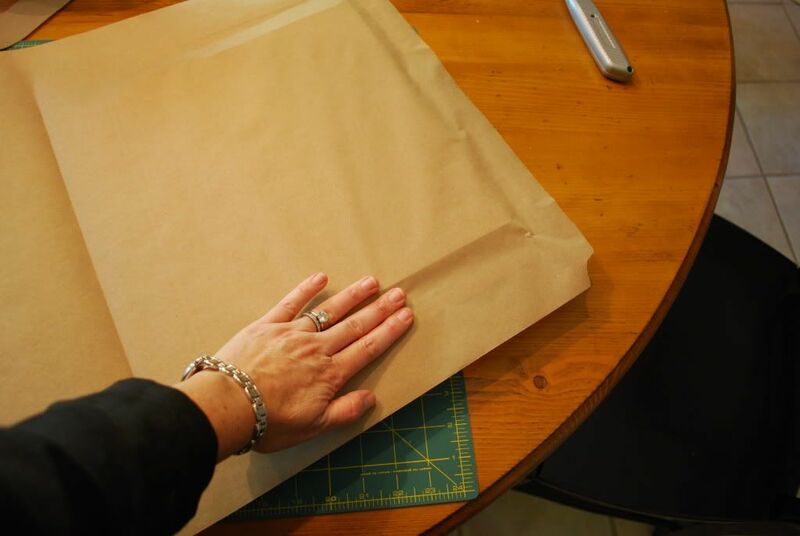 Brown Trim paper - This is not essential but if you want the backs of the framed pieces to have a professional finish, you will need this. I found it in the paint department at Home Depot. 11. 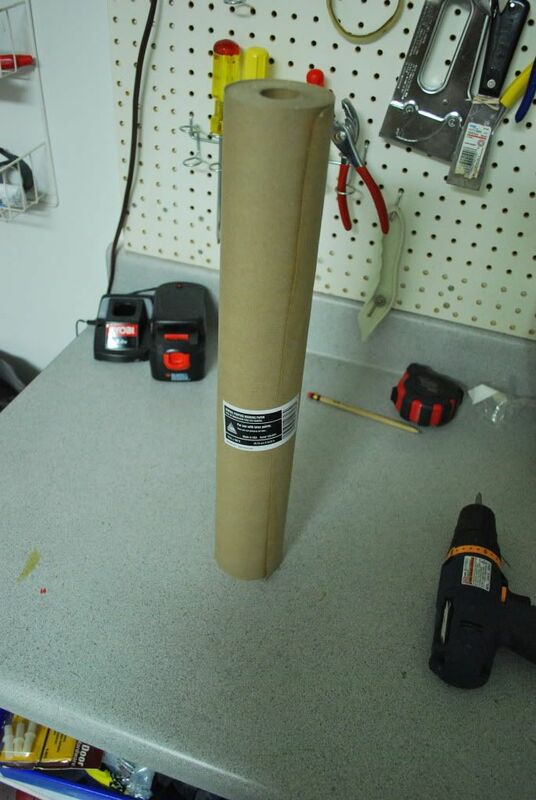 Double stick tape - this holds the brown finishing paper in place. 12. Foam Core Board - This will be the base for the intaglios. 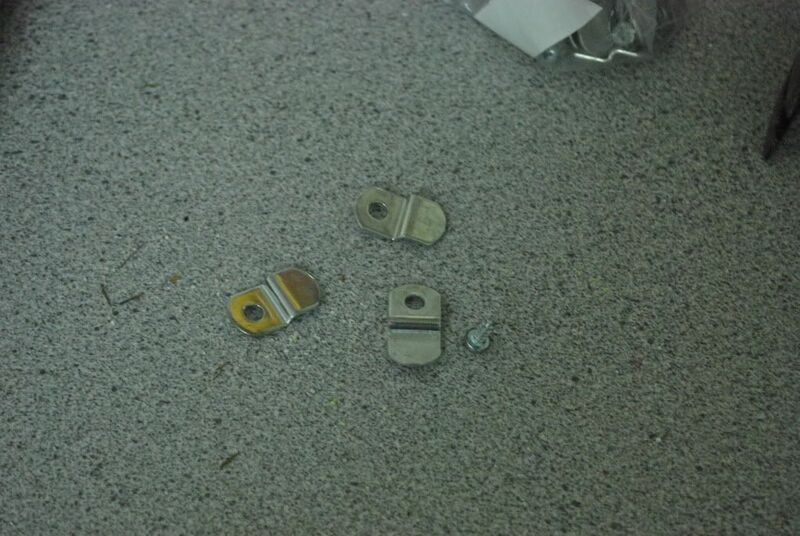 You could use mounting board, but if you are doing a lot of them, it will get expensive fast. Since you do not see this in the finished project, I decided I would use the more affordable option. 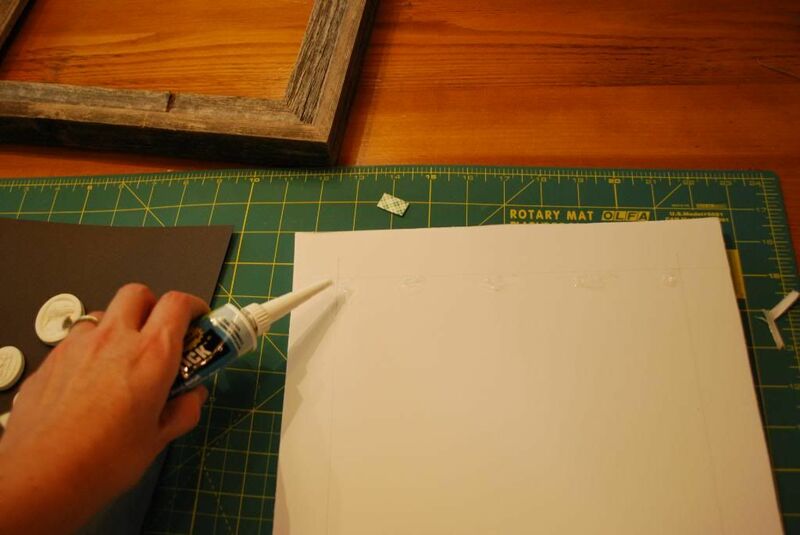 Decide on the number of frames you will be using and place all the intaglios on the card stock to decide proper placement. I tried to create symmetry in my layout. 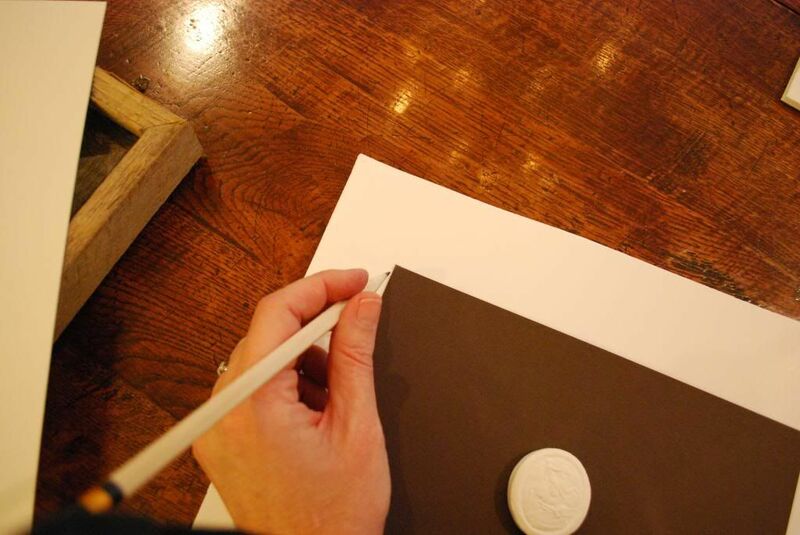 Glue the intaglios in place on the card stock. I started by ensuring the backs of each intaglio were clean and dust free so they would adhere to the paper. 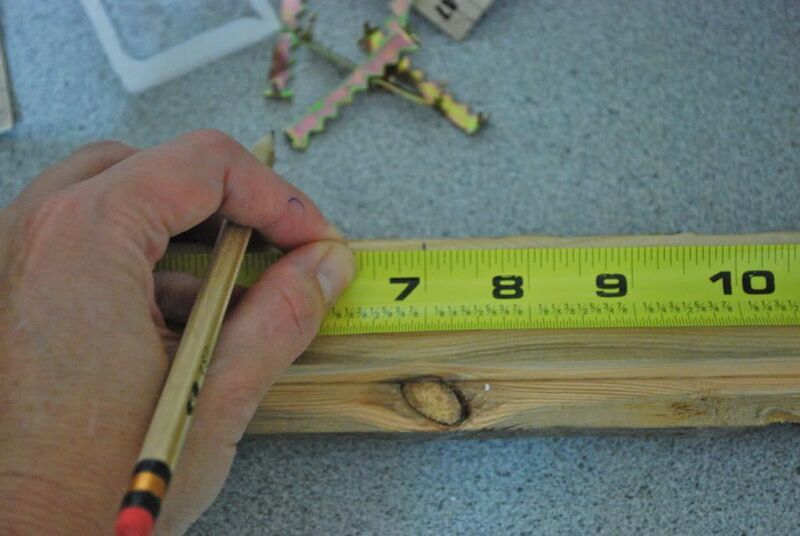 Then, using a ruler, I determined the center of the paper and proper placement. I then glued each intaglio in place. 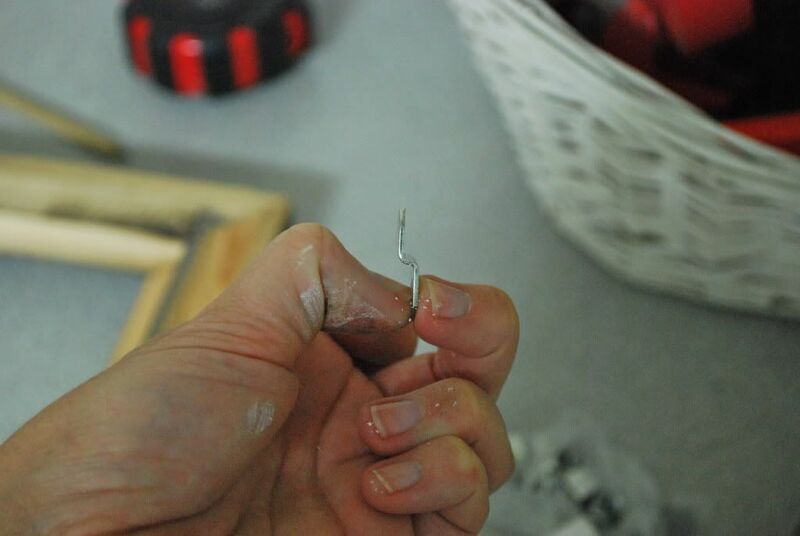 As I mentioned, the glue is not fast drying so you are able to make small adjustments in placement. Then I allowed these to dry overnight on a flat surface. Do not rush this part!! 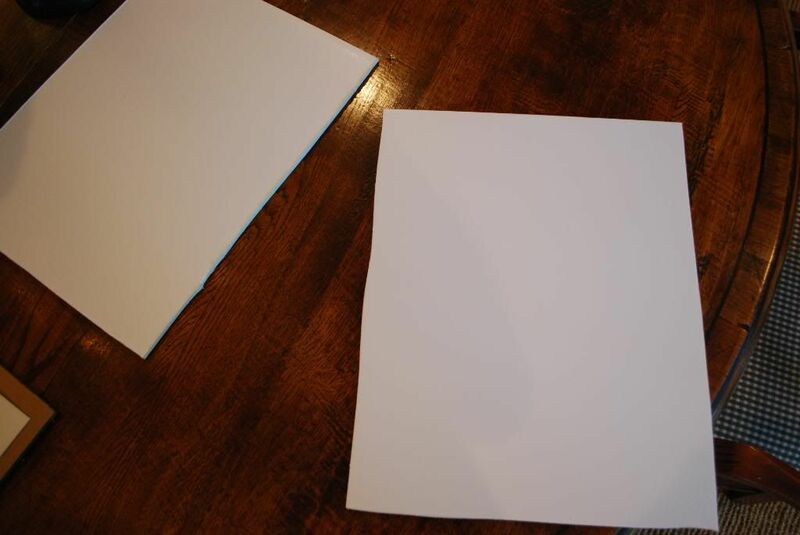 Cut Foam Core Board to 11x14 pieces for backing of intaglios. I started using a box cutter, and then decided it was taking to much time and energy so I got out the handy electric knife (not kidding). It cut like butter! 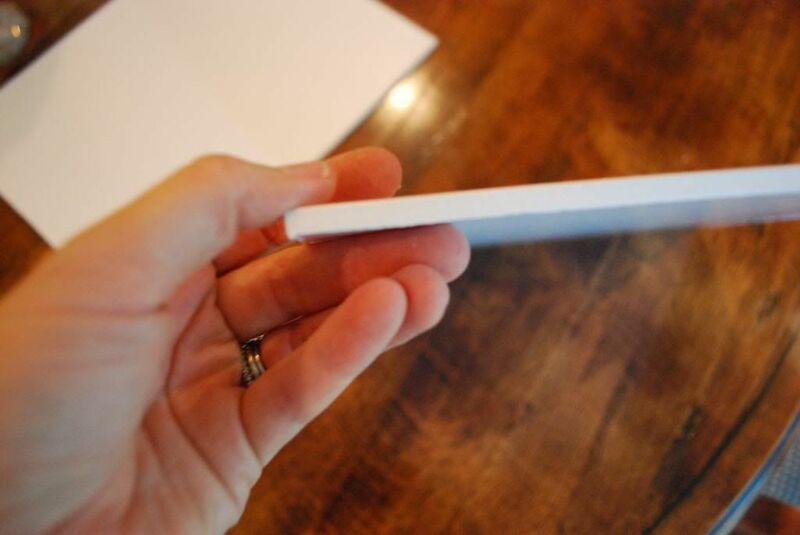 Notice the foam core board does not have to be cut perfectly straight since you will not see it in the final product. Prepare the frames - I hammered in the picture hanger (making sure to place it in the center on each frame) and the off sets (which I did not drill in the entire way). 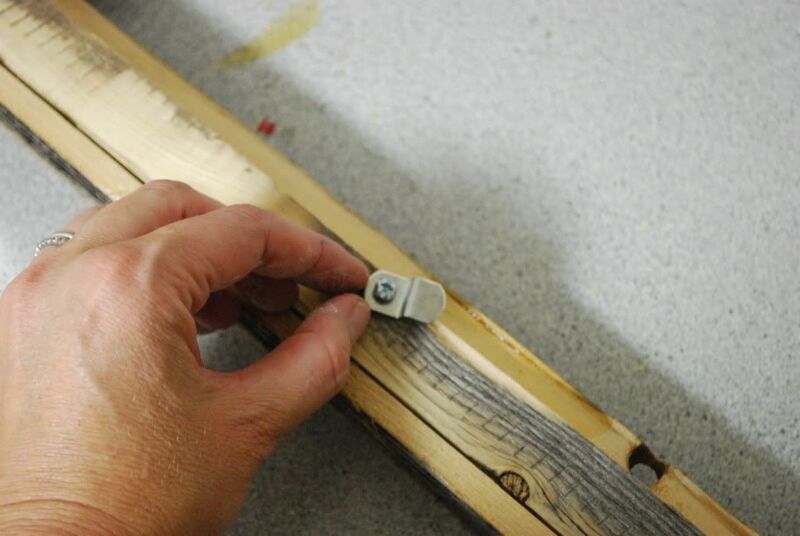 You want to do this step before placing the intaglios in the frame, since the hammering, etc could loosen your intaglios in the finished project. Secure card stock (which now has the intaglios on it) to the foam core board. 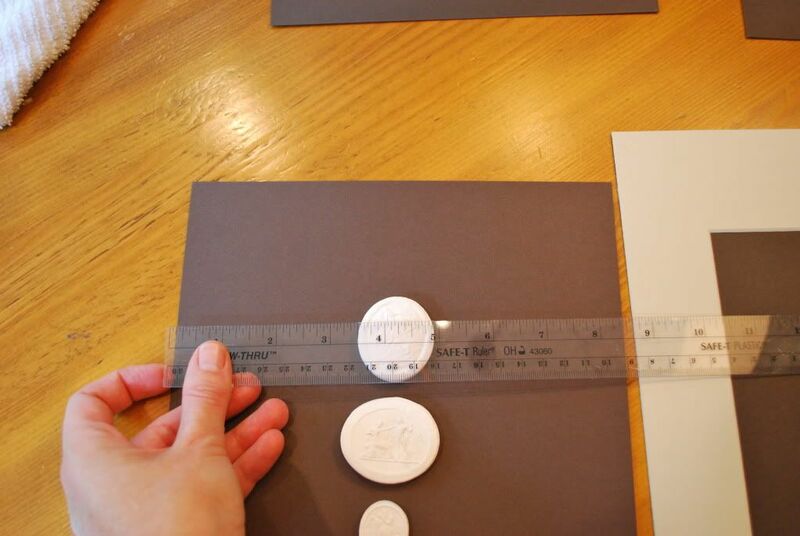 To do this, you need to place the card stock on the foam core board and then place the mat on top of it and adjust the intaglios until they are centered with the mat (or you could use adhesive mounting board for this step and skip the glue). Then lift up the mat and mark the proper placement of the card stock on the foam core board. 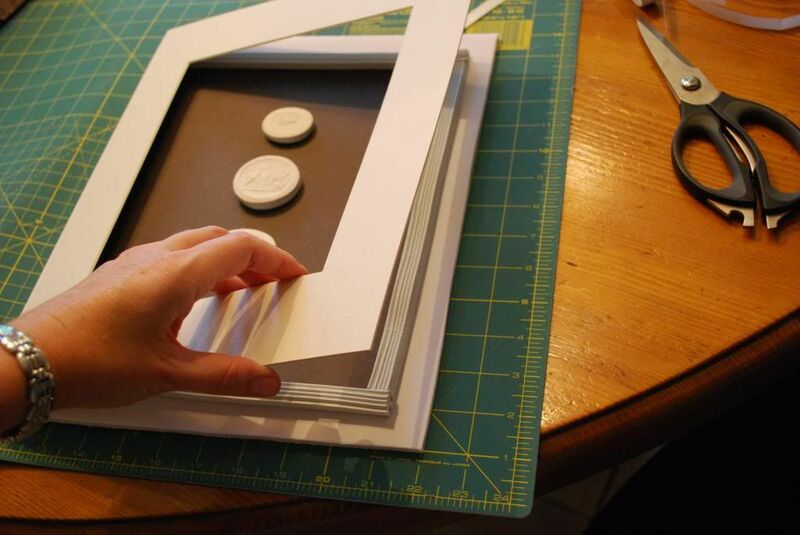 Place glue on the top and bottom lines on the foam core board where the card stock will be placed and press the card stock into the glue. 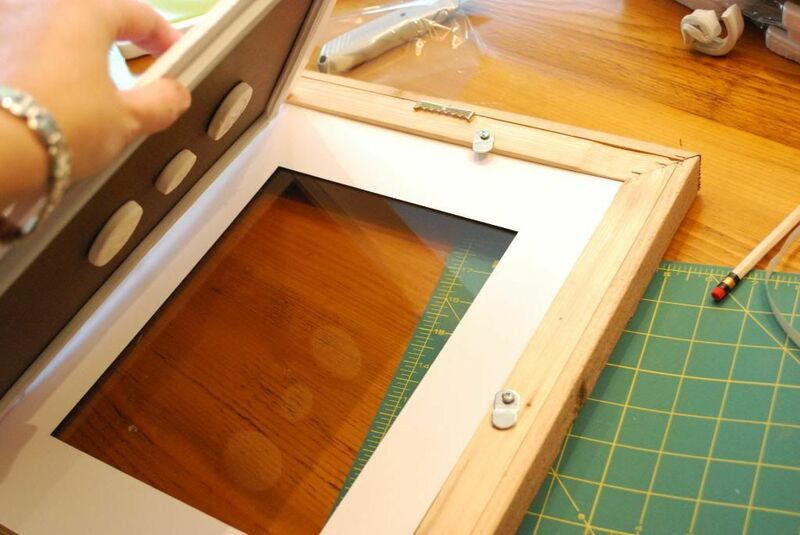 Create depth between the mat and foam core board using the window rubber seal. 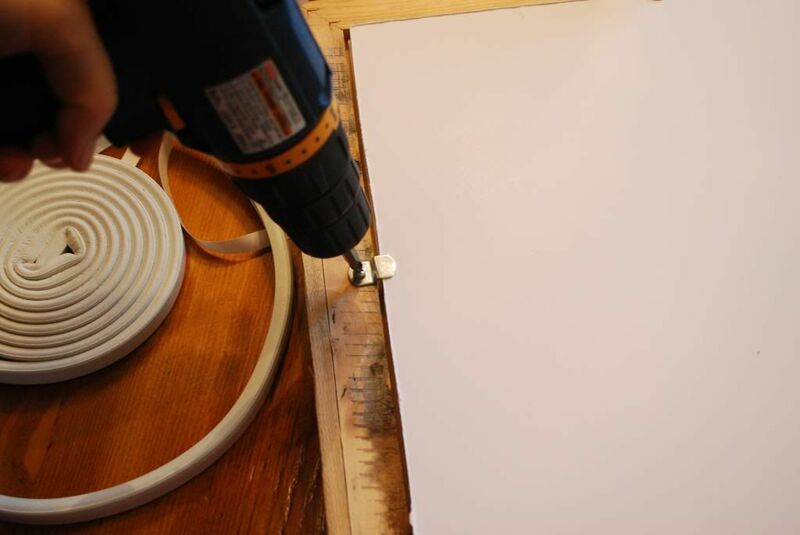 Following the line of the card stock, cut and stick the self adhesive rubber seal onto the foam core board. 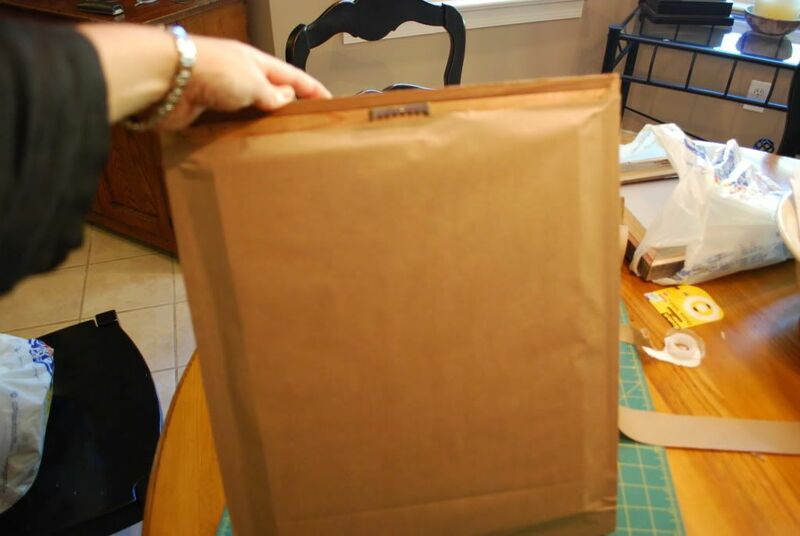 You just want to catch the edge of the chocolate paper, to ensure you don't see the seal once the piece is put together. Only the edge of the rubber seal can be seen (if you leaned in close and tilted the frame), so don't worry about how the pieces connect in the corners. 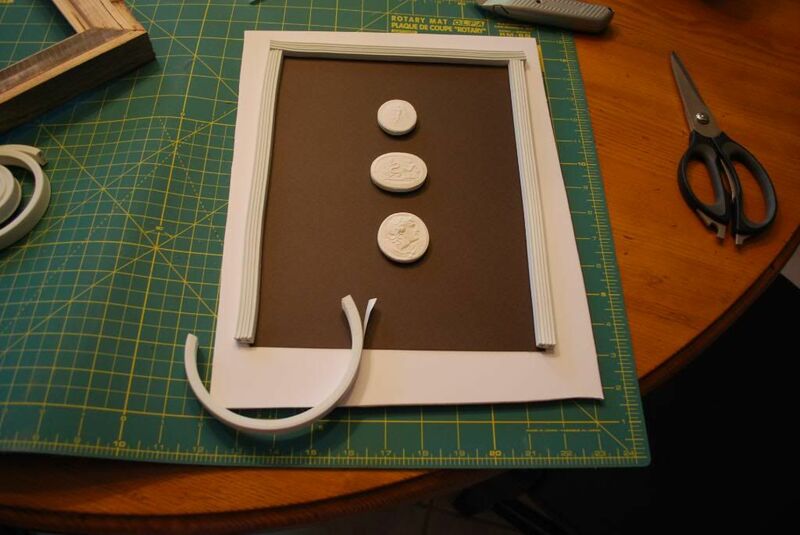 Put the layers together - Place the frame face down, add the glass, the mat, and then the foam core board (which has the intaglios and window seal glued to it at this point). 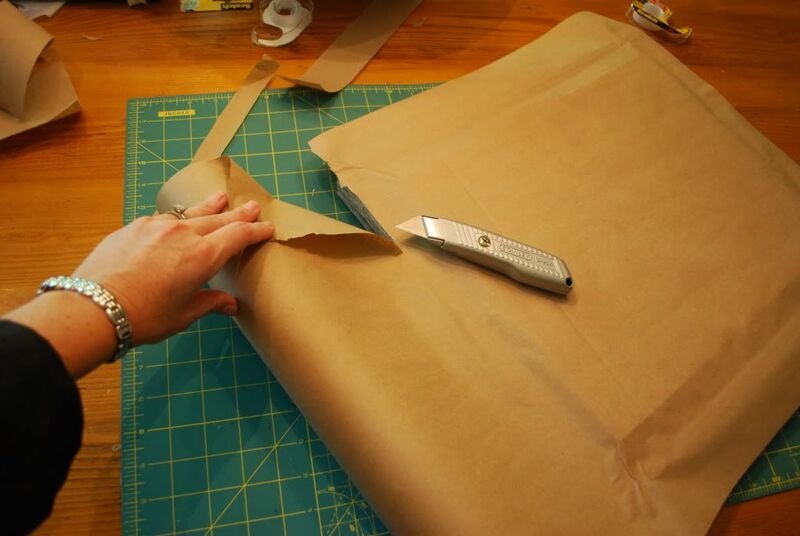 Tighten up the off sets on the back to secure the layers together. Finish the back of the frame. 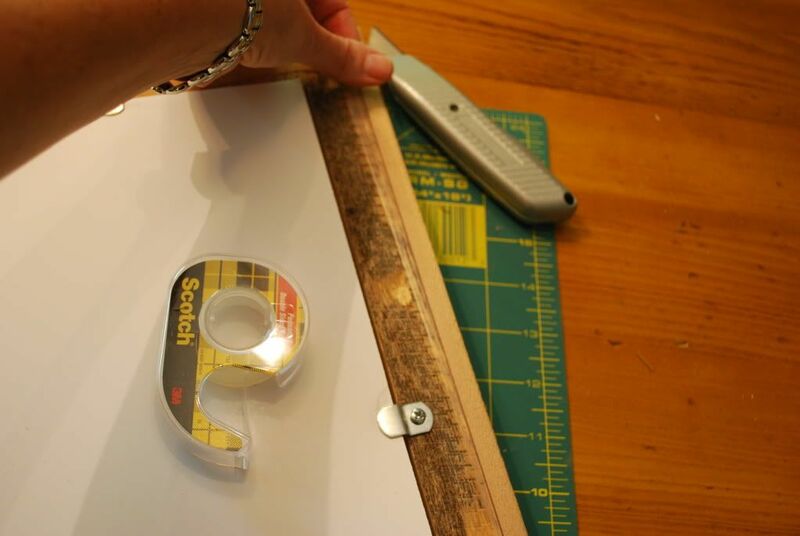 Place double stick tape on the outside edges of the frame. 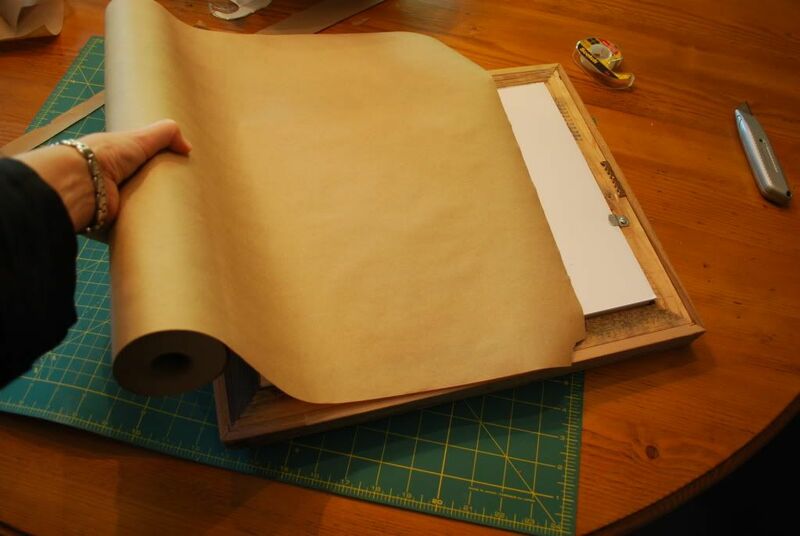 Roll the paper over the frame. 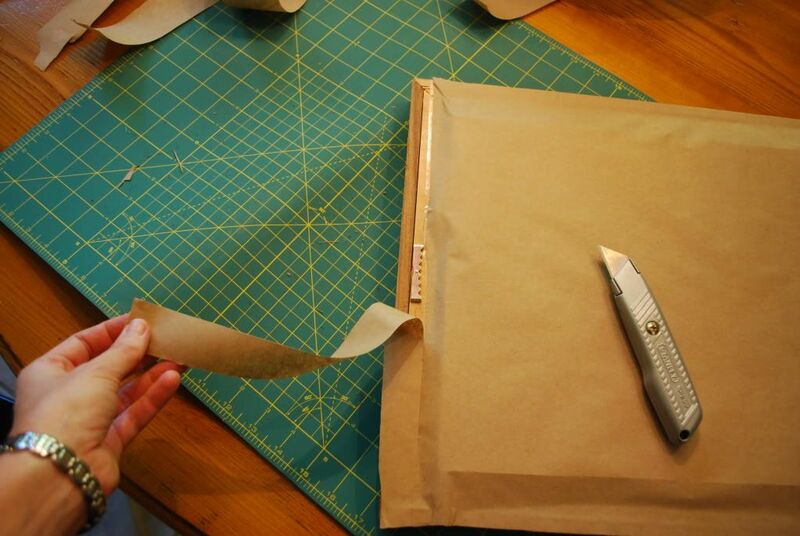 Using an exacto knife, cut away the excess paper. Hang the grouping and enjoy. 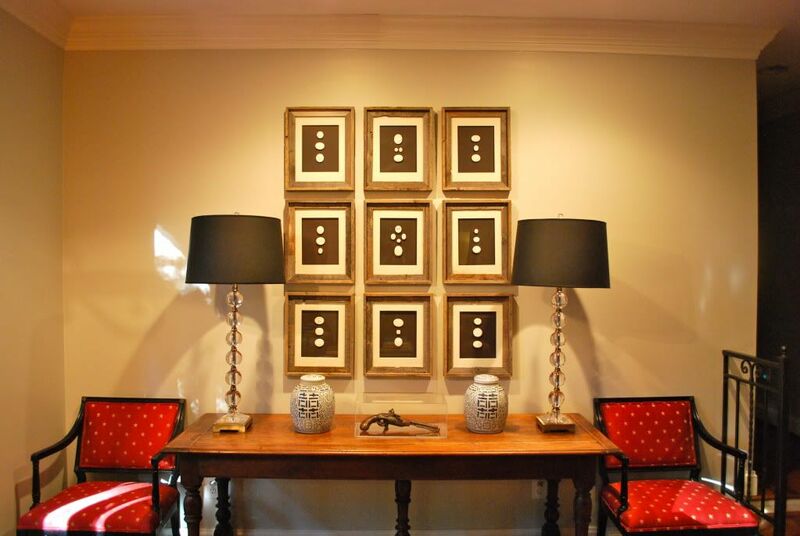 Here are my tips for getting the perfect spacing when hanging a grouping, if you need a refresher - Proper Way to Hang a Grouping. And that's it! You get a huge wall of art for a fraction of the price. I hope you will try this project. It was so much easier than I expected. The only thing you really need to remember is to be patient and wait for the glue to dry overnight and be meticulous in the spacing/gluing of the intaglios. If you try this project, I would love to see your efforts! 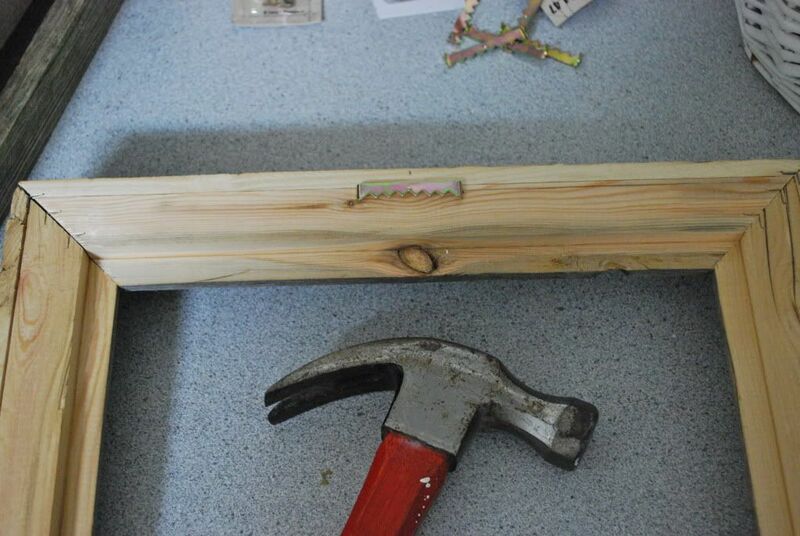 And for those who are just not up for a DIY project, I did the work for you! I am giving away this smaller framed set of two intaglios to one lucky reader. This framed piece measures 11"x13" and includes two intaglios. 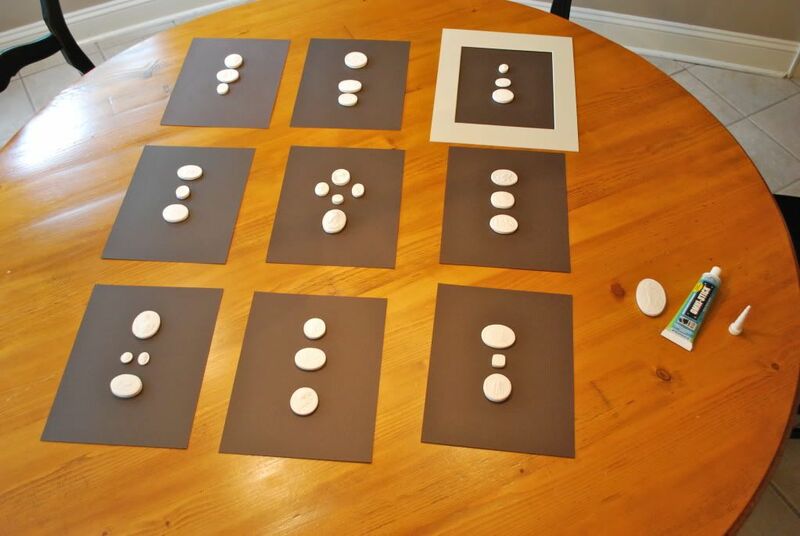 You could place it in a grouping with other artwork, on an easel in a bookshelf or over a side table next to a chair. It's very versatile. If you would like a chance to win this artwork . 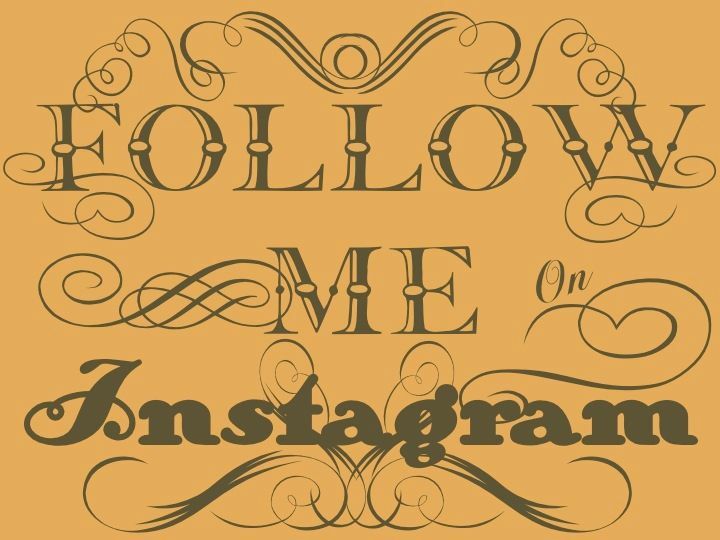 . .
Good Luck and thank you again for following my blog! M.
Great project and what an amazing impact! Thanks for sharing! This is one of the best most detailed tutorials I have seen to date! Well done, I am most impressed and the result is fabulous! Mandi, it looks sooo good!!! And what a great tutorial! Thanks for sharing! Yes, very well done and such a nice end result. Looks like a professional job. What a great idea. this is such a great project, they look fantastic!! These are just beautiful. What a lovely tutorial and yes I WILL enter the giveaway! Thanks!! Fabulous! They look beautiful on your wall. Thank you for the tutorial. What a beautiful project! 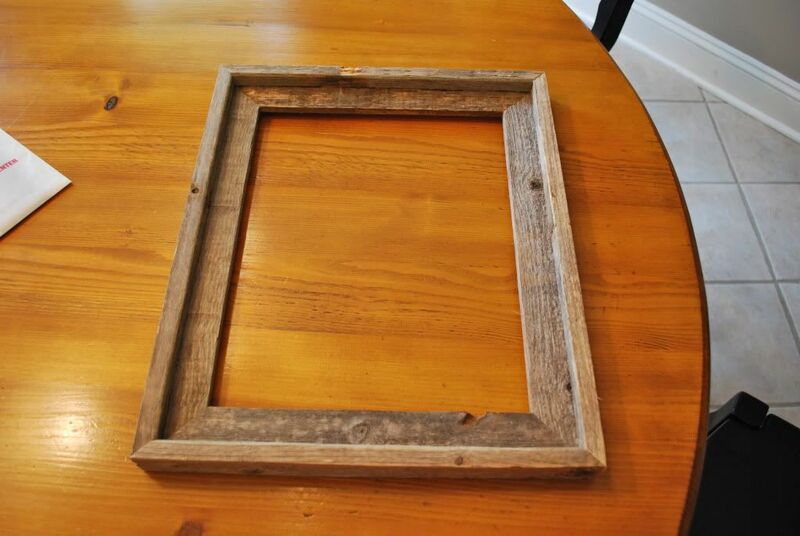 Thank you for the tutorial, the steps you outline here can be used in so many ways with different framing projects. Lovely! Genius move w/the window insulation to create the distance needed. I have had plaster intaglios from ebay in a bag for close to 2 years (mine were from seller in England about $40) and now I know what to do. Thank you!!! Thank you so much for this wonderful tutorial! Your intaglios looked absolutely stunning.